2) Department of Toxicology, Naval Hospital - Varna, Bulgaria. Ethyl alcohol – spirit for technical designation, denatured is used mostly as dissolving agent in chemical industry and in the everyday life as a spirit for burning. It consists of 95 % ethyl alcohol to which different substances are added and coloring agents to become not fit to drink. For the chemical industry the most often used substances are – methyl alcohol (5 –10%); pyridine bases (0.5 %); benzol (5-10%); chloroform (5%); acetone (10%), petrol (1%) and many others. The spirit for burning in the household is denatured with methyl alcohol (3-4%) or pyridine (0.25%) and is indicated with the coloring agent methyl-violet which gives it a special blue-violet color. According to the state standards the spirit for burning has to contain not less than 94.5% ethyl alcohol and not more than 1 % methyl alcohol as denaturizing agent. 2. Ivanov D. Book of organic chemistry 7th edition. Science and Art, Sofia. 1967; 121. 3. Sabeva Yu, Slavova V, Markova S. Method of quantification of volative solvents in acute intoxications. 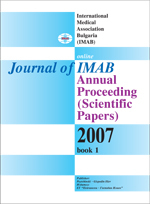 Annual proceeding (Scientific papers) International Medical Association “Bulgaria” (IMAB), 1999; 5(1):52-54. 4. The Merck Index, An Encyclopedia of Chemicals, Drugs and Biologicals, 13th edition, published by Merck Research Laboratories Division of MERCK & Co., INC., Whitehouse Station, NJ, 2001.-78.